As I might have mentioned before, we have this ugly bathroom downstairs. The plan is, within a year or so, divide it and make it into a powder bath and the shower section the backside of a new master bath. In the meantime we needed to do something to improve the look. 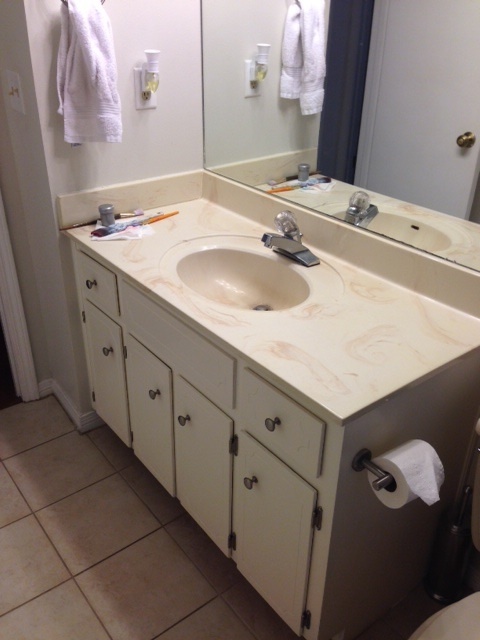 For about $250 we replaced the ugly counter top with a simple white one from Home Depot, installed an inexpensive faucet, and painted the vanity. The hand towel is from West Elm and the round mirror is an Ikea purchase from a couple years ago. 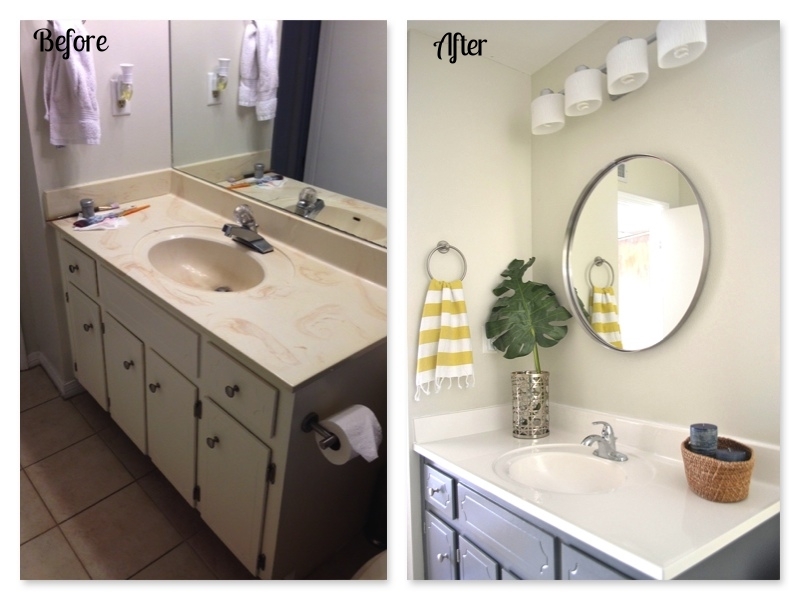 The wall color is Olympic's Whispering Wind and the vanity is a custom Benjamin Moore color. Eventually, the bathroom will be gutted but in the meantime I think it turned out to be a nice improvement.